Analysis: Heyward-Bey played just 76 offensive snaps all season, finishing with one reception (on two targets) for nine yards in 14 games. He also ran once for minus-7 yards. These were all career lows for the 10-year veteran. Heyward-Bey turns 32 this offseason and is likely to receive little interest on the open market as an unrestricted free agent. 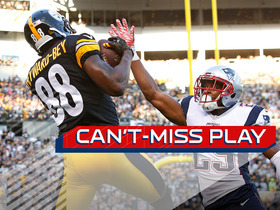 Analysis: DHB entered the contest without a catch on the season and only one reception dating back to Week 8 of 2017. Now in his 10th season in the league, Heyward-Bey is an unrestricted free agent next season. 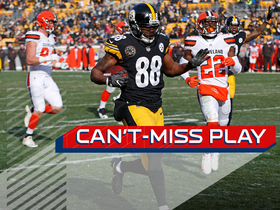 Analysis: Heyward-Bey missed Pittsburgh's last three games due to his ankle injury, but the team's Week 7 bye appears to have afforded him enough time to recover. He'll be expected to return to his role as a depth receiver for this week's matchup with Cleveland. Analysis: Heyward-Bey appears to have progressed in his recovery during the team's Week 7 bye but hasn't completely recovered from a lingering ankle issue. The depth wideout's availability for Sunday's game against the Browns will be determined by his participation in practice as the week continues. Analysis: Going into last week's matchup against the Falcons, Heyward-Bey was listed as doubtful but ultimately didn't play. The Maryland product was unable to practice in any capacity this week. Heyward-Bey will have the next two weeks to recover, as the Steelers have their bye in Week 7. 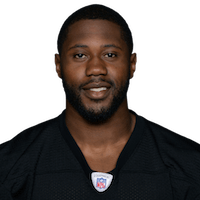 The Steelers are listing Heyward-Bey (ankle) as doubtful for Sunday's game against the Falcons, Teresa Varley of the team's official site reports. Analysis: Heyward-Bey was sidelined throughout the week of practice after exiting Sunday's loss to the Ravens with the ankle injury. He's logged just 16 offensive snaps through the Steelers' first four games, so his expected absence won't have much impact on the team's passing game. Heyward-Bey left Sunday's game against the Ravens with an ankle injury and won't return, Dale Lolley of DKPittsburghSports.com reports. Analysis: Heyward-Bey logged 11 snaps on offense and 54 on special teams through the first three weeks of the season, after catching just two passes in 16 games last year. He's merely used as an emergency option in the Pittsburgh offense. 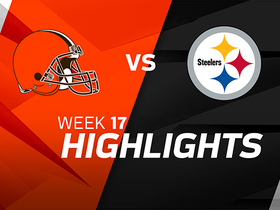 Heyward-Bey was not targeted, but ran once for a 29-yard touchdown in Sunday's 28-24 win over the Browns, finishing the 2017 season with two catches (on three targets) for 47 yards. He also ran two times for 32 yards and the one touchdown playing in all 16 games. Analysis: The two receptions were the fewest in a season during DHB's nine-year career, and only the second time in his career without a touchdown reception, while the rushing touchdown was his second in two seasons. Although he is under contract until 2019, Heyward-Bey is only guaranteed $400,000, so his future with the Steelers may be in question. Heyward-Bey returned to Sunday's game against the Colts after injuring his foot, Burt Lauten of the Steelers' official site reports. Analysis: Heyward-Bey was only out for a series before he was deemed healthy enough to get into the game. 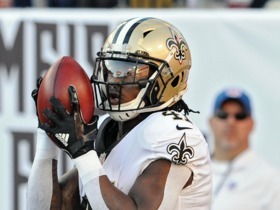 He'll return to his role as a depth receiver with special teams upside. Heyward-Bey injured his left foot Sunday against the Colts and is questionable to return, Burt Lauten of the Steelers' official site reports. 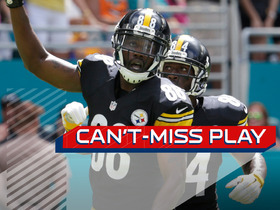 Analysis: Heyward-Bey plays a bulk of his snaps on special teams, so fantasy owners likely won't notice his absence. However, with Justin Hunter also inactive Sunday, the Steelers are down to just four healthy wideouts. 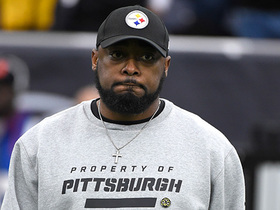 NFL Network's Aditi Kinkhabwala gives an update on the state of the Pittsburgh Steelers heading into 2018. Pittsburgh Steelers wide receiver Darrius Heyward-Bey runs in a 29-yard touchdown. Pittsburgh Steelers safety Robert Golden hits wide receiver Darrius Heyward-Bey for 44 yards on a fake punt. 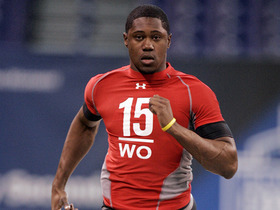 Watch Oakland Raiders wide receiver Darrius Heyward-Bey run the 40-yard dash at the 2009 NFL Scouting Combine. 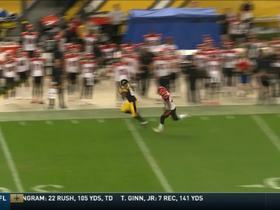 Pittsburgh Steelers QB Landry Jones hits wide receiver Darrius Heyward-Bey deep for 46 yards. 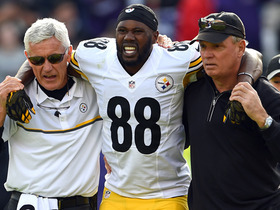 Steelers wide receiver Darrius Heyward-Bey injured during play. Steelers wide receiver Darrius Heyward-Bey pulls in a 14-yard touchdown reception. Pittsburgh Steelers wide receiver Darrius Heyward-Bey takes an end around for a 60-yard touchdown.